Goodbye Cable, Hello Apple TV! Last week I received a courtesy call from an AT&T U-verse representative asking for feedback on the company's Digital TV, High Speed Internet & Voice services. It was a spontaneous decision, but I took the opportunity while on the call to cancel the digital TV service. OK, so it wasn't so spontaneous. I had been thinking about canceling the TV service while investing a few of the dollars saved for higher-speed Internet. We have a large household of active digital device users. We need bandwidth. We need bandwidth more than we need hundreds of cable channels no one in our home ever views. I appreciated the courtesy call from AT&T and how quickly the first representative passed me to another representative to make my account changes. We now have the additional bandwidth desired and an empty spot under the TV where the Motorola cable receiver used to sit. The receiver has been sent back to AT&T and the Apple TV now has a shelf under the TV all its own. We've had an Apple TV since the release of the quirky first generation model that always seemed to need a restart and took forever to download and store content. 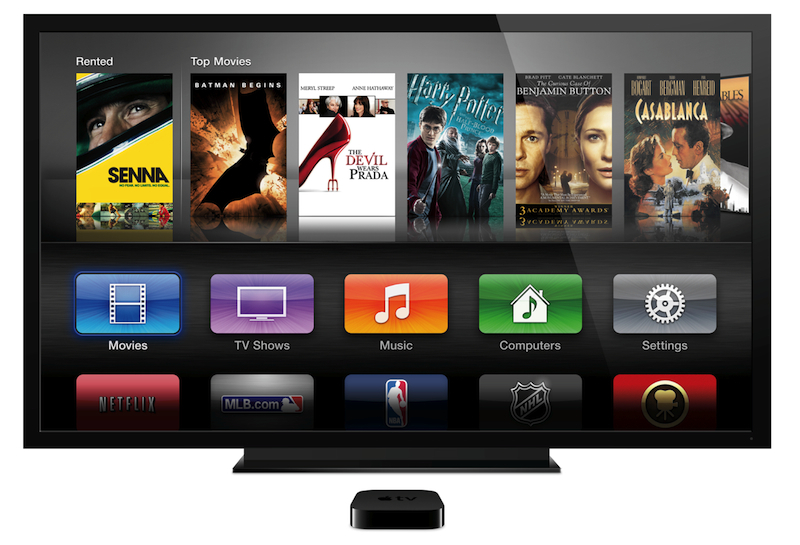 The newer Apple TV models (generations 2 & 3) only stream content and can be accessed from other Apple-branded devices around the house. For the $99 purchase price, the new Apple TV provides Internet-based access to the iTunes Store, Netflix, Hulu Plus and a variety of other free and subscription-based content portals. It also facilitates the wireless streaming of iTunes content from other devices via the company's proprietary AirPlay protocol. The newer Apple TVs are easy to set-up and easy to use. We have a Netflix account and with the $90 per month saved on cable TV services, I decided to go shopping for other content to be viewed through the Apple TV. It was suggested by members of the household that we evaluate Hulu Plus for TV shows while keeping our Netflix account for movies. While there are pros and cons to both services, I decided to add Hulu Plus to increase the content repertoire for on-demand viewing through the Apple TV. Cable TV is extraordinarily expensive for the few channels our household members viewed each month. I didn't consider surfing through a seemingly endless number of cable TV channels a leisure time sport. I considered it wandering through a listing of channels I paid to access each month but never watched. With an opportunity to save about $1,000 per year, the decision to cancel cable service wasn't a difficult one. Combined, Netflix and Hulu Plus cost about $30 per month. For less than $400 per year we have a much more cost-effective home entertainment content solution and a net savings of about $600 per year. Additionally, the Netflix and Hulu Plus accounts can be accessed and used from any location and from any of our Apple-branded devices. The savings are real and in the first week since canceling cable I've watched more content through Apple TV than I watched on cable in the past year. This lower-cost solution provides for on-demand movies and TV shows for a fraction of the cost of cable service. Apparently saying goodbye to cable service is fairly common. All I had to do was bring the U-verse TV receiver to a local UPS Store and it was packaged and shipped back to AT&T for free.